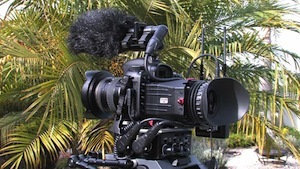 As both a photographer / filmmaker specializing in nature programming, having one system that can do both high quality stills and HD video would be ideal. And we’re getting close. I’ve been producing web films with the Canon 7D for some time and would like to share with you my experiences dealing with some of the benefits and limitations of shooting with a DSLR. In this sample clip I used a handheld Canon 7d with a 19-35 Tamron lens to film a dredging project on Batiquitos Lagoon in Carlsbad, California. It was shot from a CDFG plane. I used SmoothCam in Final Cut Pro to take out some of the shake. In Future webisodes I’ll talk about these components in detail and other topics related to natural history filmmaking.